On sale now get a new One-Car Garage Door (8'x7') plus Professional Installation starting at just $435! Need something bigger? get a new Two-Car Garage Door (16'x7') plus Professional Installation starting at just $785! Includes 29-Point Inspection! 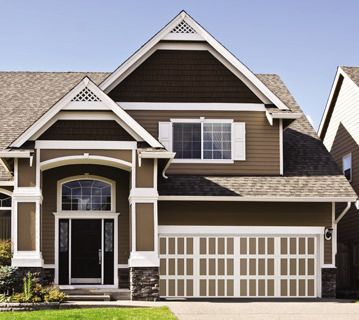 get a new Two-Car Garage Door (16'x7') plus Professional Installation starting at just $785! Overhead Door Company of the Los Angeles Basin has served Los Angeles, Orange County, San Bernardino and Riverside for 30+ years. We specialize in the highest quality garage doors at very competitive prices. Starting at just $435, we offer a wide selection of Overhead and Wayne Dalton garage doors that will make your home look fantastic. Our friendly and expert staff will help you choose the perfect garage door for your home, at a price you can afford. In addition to residential garage doors, we also offer the perfect commercial garage doors for your business. From security grills to counter doors to aluminum sectional doors, we offer a wide range of commercial overhead doors. Our business garage and overhead doors offer great quality at reasonable prices. If your garage door is not working, call us! Our friendly, professional team is available to repair or service your garage door. With every job, your door gets an in-depth tune-up and inspection. We service Los Angeles, Orange County, San Bernardino and Riverside. Call us today for a FREE estimate for a new garage door, or garage door repair and service. 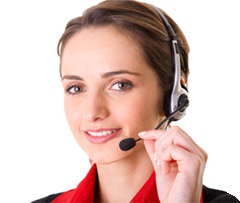 I would like to mention that you have an extraordinary Customer Service team at Security Garage Door. Every time I call to receive a quote, I am treated with friendly and prompt service which I can see, is second to none. They are always helpful and responsible and care that I am receiving the correct equipment and pricing."